A field of beauty as the wild blue flax blossoms in Saskatchewan, Canada. 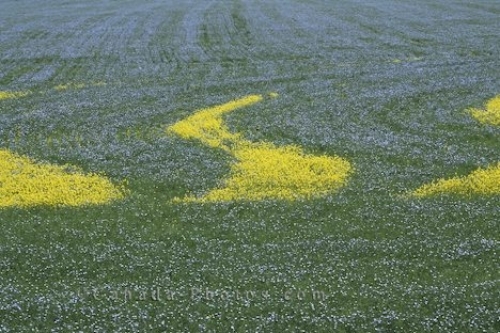 Blue flax is a flowering plant which turns this open field into a vision of beauty in Saskatchewan, Canada. Blue flax is the ideal wildflower as blossoms appear each morning during the flowering period and then drop its petals by the afternoon. The field of flax in Saskatchewan is cultivated for its seed which in turns is used for linseed oil. Picture of a field of wild blue flax in Saskatchewan, Canada.